The city of Jerusalem, once named Jebus, was conquered by King David 3,000 years ago. He proceeded to make it the capital of his Empire – later, his son, King Solomon, built his Temple there; the First Temple. Some 1,000 years later, King Herod built the Second Jewish Temple, which was destroyed by the Romans in 70AD. Jesus preached and preformed miracles in Jerusalem, visited the Temple, and was ultimately arrested, condemned, and crucified in this vicinity. 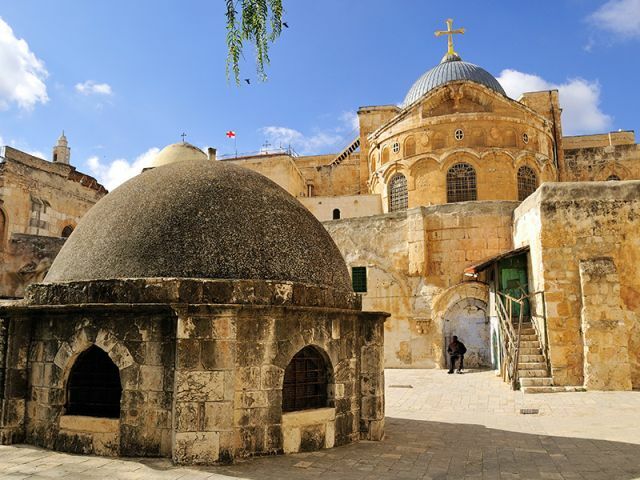 In the late Roman period, the city was named Aelia Capitolina, but during the Byzantine period Queen Helena arrived to Jerusalem and identified the site of the Church of the Holy Sepulcher, and gave it back its original name. With the Muslim conquest by the Caliph Umar Ibn Al-Khattab in the 7th century, the city retained its holy status and throughout the Umayyad Dynasty experienced another Golden Age, particularly associated with Al-Aqsa, the place at which Mohammed ascended to heaven in a night journey. In Arabic Jerusalem is called Al-Quds. Jerusalem can be loosely divided between ‘Old and ‘New; the Old City has parts that date back thousands of years, whilst the new city developed only from the 1860s onwards. The city is a fascinating mix of East and West, tradition and modernity, an extraordinary mélange of religions, cultures, and traditions. The Old City is made up of four quarters; the Muslim, Christian, Armenian and Jewish. 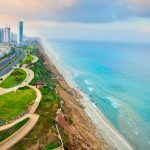 With a population of over 30,000, this relatively small area contains as astonishing array of religious, historical, cultural, architectural, and archeological sites, all set amongst a lively backdrop of daily life. Christians, Muslims and Jews all have holy sites of the utmost importance to them within the Old City Walls. 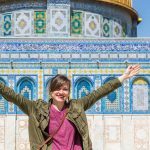 The Temple Mount (also known as ‘Haram Al-Sharif’ is the third holiest site in the world for Muslims, and is of great importance to Jews too. 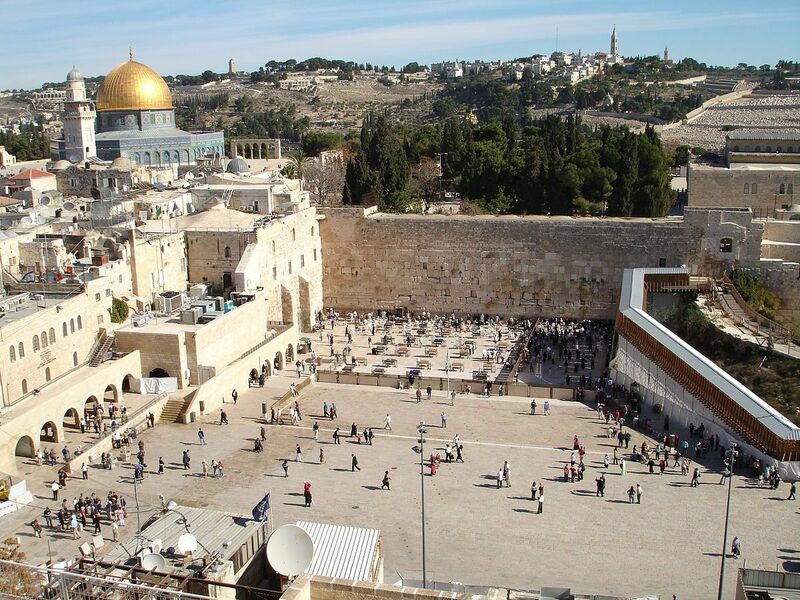 The Western (‘Wailing’) Wall – in Hebrew named the ‘Kotel’ – is considered to be the holiest site for Jews. 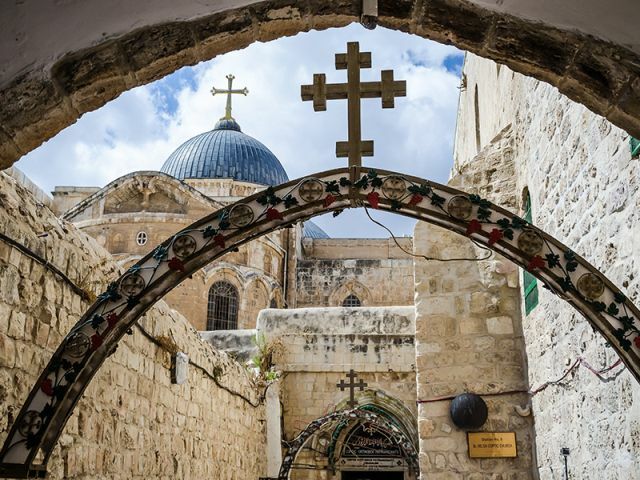 In turn, the Church of the Holy Sepulchre is where Christians flock, since most identify it as the place where Jesus was crucified, buried and resurrected. In addition to the many holy sites in the Old City are places of enormous historic interest, not to mention the exotic, colourful and Bazaar – ideal for shopping or simply wandering through. The Western Wall is a the last remaining wall from the Second Jewish Temple, destroyed in 70 AD. The small part of it that is exposed is undoubtably the holiest site in the world for Jews. It contains a large plaza for congregating and viewing the area, and prayer areas both for men and women. On the eve of all major Jewish holidays, and on Shabbat, it is especially busy and a very special sight for tourists to witness. 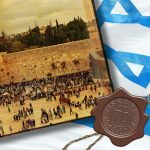 Also known as the Kotel, the Western Wall is open 24/7 and is open to all, through modest dress is required. The wall itself is today mostly obscured by the buildings of the Muslim Quarter, but can be viewed on a guided tour through the Western Wall Tunnels. Haram Al-Sharif (the ‘Noble Sanctuary’) lies at the top of the Temple Mount platform, located inside the Old City of Jerusalem. It is regarded by Muslims as the place of the ‘Isra’ – Mohammad’s night journey to heaven. The two dominating structures on the Temple Mount/Haram Al-Sharif are the golden Dome of the Rock (marking the place from which Mohammad ascended) and the Al-Aqsa Mosque. 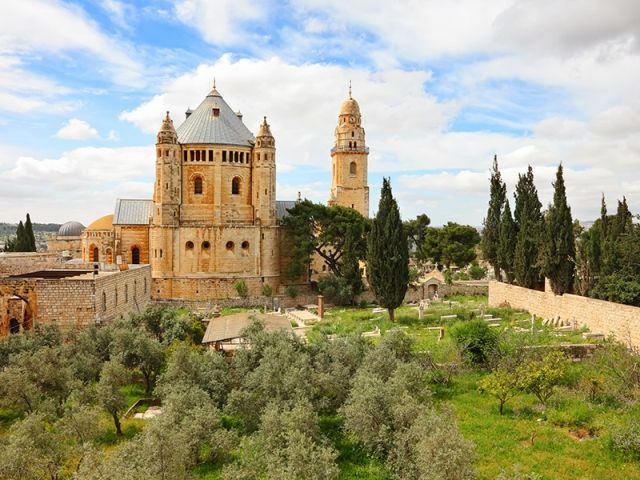 The area itself is extremely beautiful and affords wonderful views of the Mount of Olives. The site is open to tourists between Sunday and Thursday nut only during specific hours (at present some time between midday and 2pm). The Mount of Olives lies to the east of Jerusalem’s Old City, separated from it by the Kidron Valley. In Christianity, it is a site of great importance, being the place where Jesus taught his disciples, wept for Jerusalem, was betrayed (in the Garden of Gethsemane), ascended to heaven and where it is believed he will return to earth in his Second Coming. There are many churches on the Mount of Olives, whose designs commemorate all of these events. In Jewish and Muslim tradition the site is also associated with the end of days. Furthermore, it is home to the oldest Jewish cemetery still in use across the world. Located in the north of the Old City, close to the Damascus Gate, the Garden Tomb was identified by Charles Gordon in the 19th century as the true Calvary. 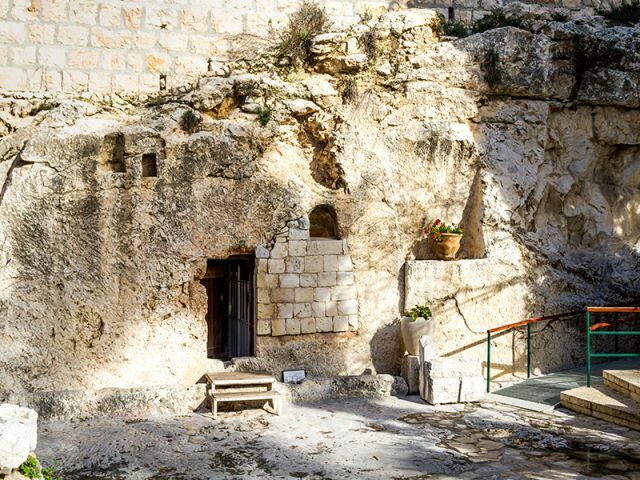 Today, under the auspices of the Garden Tomb (Jerusalem) Association, the site contains a viewing platform of ‘Skull Hill’ and a tomb that many Protestants believe to be the authentic site of Jesus’ crucifixion, burial, and resurrection. The site is surrounded by beautiful scenery and contains peaceful corners for quiet contemplation and prayer. It is open from Monday to Saturday. Once part of the Old City of Jerusalem, Mount Zion now stands outside the current walls of the Old City, in the area of the Zion Gate. The most striking of its structure is the Dormition Abbey, a Benedictine church built over the crypt in which – in Catholic tradition – Mary fell in to a slumber before being taken up to heaven. Also on Mount Zion is the tomb of King David and the room where the Last Supper was said to have taken place. Located in the south of the Old City, close to the Dung Gate, the City of David is a historical site (although still being excavated by archeologists) relating to the ancient city of Jerusalem. It dates back to well before 1800 BCE and includes some impressive remains, including the Spring House (in which King Solomon would have been anointed, and what many believe to be the remains of the palace of King David). 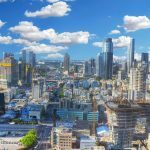 The underground water system is particularly impressive and, for those who wish, a 45-minute walk through Hezekiah’s Tunnels is certainly recommended. The site is open Sunday to Friday. The Via Dolorosa (‘Path of Sorrow’) is the traditional route that Jesus took from his trial to his place of crucifixion. Following the route (which is well-marked’) you may come across pilgrims carrying their own cross, singing hymns or chanting prayers. The route is marked by the various ‘Stations of the Cross’ each remembering an event in Jesus’ journey to Golgotha. The Israel Museum is the national museum of the State of Israel. Located on Government Hill in the modern city, directly across from the Knesset (Israeli Parliament), the museum is large and varied. Perhaps the most striking of its buildings is the white-roofed ‘Shrine of the Book,’ which is home to the Dead Sea Scrolls, some of the oldest biblical texts ever to be discovered in caves near the Dead Sea, in the 1940’s. The museum also houses a huge model of Jerusalem from the Second Temple Period as well as entire wings dedicated to archaeology, art, and Jewish Life & Culture. Outside, there is a sculpture garden, an area for children and there are two restaurants and an excellent gift store. Israel’s national memorial, museum, and research center for the holocaust, Yad VaShem, situated on the outskirts of the city, is an immensely meaningful place to visit. The museum itself was designed by architect Moshe Safdie, and takes the visitor on a journey through the horrors of one of the darkest periods in Jewish history. In addition to the museum there are many different art exhibits and memorials on the site, including very poignant children’s memorial. Yad Vashem is free of charge and can be reached by taking the light railway. Machane Yehuda is the main market (shuk) in modern Jerusalem, selling everything from fresh fruit and household wears, to souvenirs and clothing. The vibe in the shuk is quintessentially Jerusalem and the variety of stalls is astonishing – from fishmongers to cheese stalls, and olives to spices, you’ll find it here. The shuk is often busy in the day but at night it really comes to life. In the last few years, in particular, it has been the ‘in’ place to meet friends, and is now packed to the rafters with cafes and bars, that play live music and are open until late. Mahane Yehuda also boasts some excellent graffiti, which is only entirely visible on shabbat, when all the stores are closed and the shutters are pulled down. Go and take a look at Mahatma Ghandi (under a ‘Strictly Kosher’ sign) or the world-famous violinist Yehudi Menuhin. These spray=painted portraits, by British-born artist Solomon Souza, are really worth a look. Jerusalem is the capital of Israel and home to 950,000 people. Located in the Judean Hills, , the Gihon Spring, a major water source, has enabled humans to live here for approximately 8,000 years, a walled city being built 4,000 years ago. Comprised of the Old and New City, Jerusalem is of enormous importance to three world religions - Judaism, Islam, and Christianity.